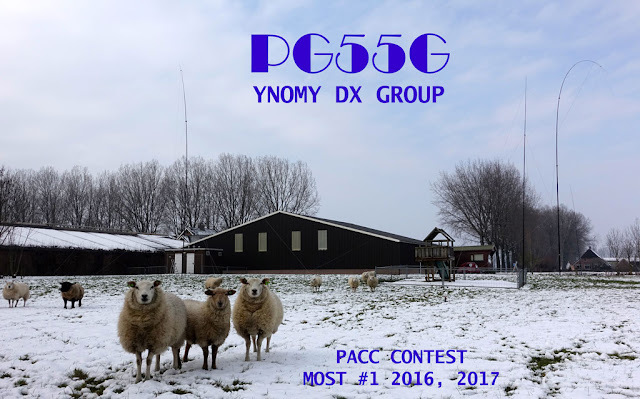 This year YNOMY will participate in the PACC contest once more. We will be using the callsign PG55G again from our favourite campsite in Gelderland (GD). We will be using all sorts of wire antennas in our field day set-up and hope to make it into the top 3 of the MOST category again - perhaps we will be able to make it to the top position for the third time.